Made in Chicago, this Magic Sam side, on the Cobra Record Corp. label, is a classic – this one has been haunting me for weeks now, and I just can’t get enough of this all-out soulful, electric blues sound. Late 50s cut; Magic Sam has a vocal delivery so reminiscent of the great Otis Rush at this time in his career (and they were Cobra label mates during these years, so); the guitar sounds like voltage being strummed. Yes, this one is a tad scratchy because it has been loved to death in one jukebox or another for many years, years ago. I dug it out for free virtually at a favorite vinyl shop. I hope to have this one forever. 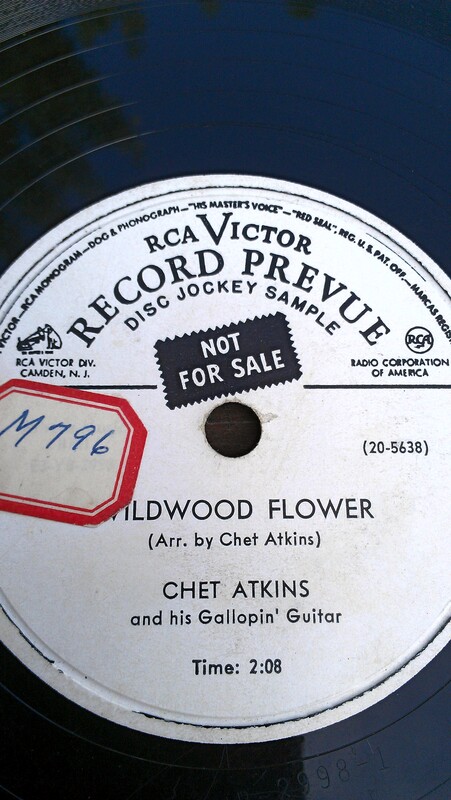 Wildwood Flower is a timeless, classic, immortal, indispensable tune. I first heard Maybelle Carter, of the great Carter Family, do a version of it on The Johnny Cash Show sometime in the 70s. This is a solo guitar take on it, masterfully and playfully performed by one of the geniuses of the instrument: Chet Atkins. 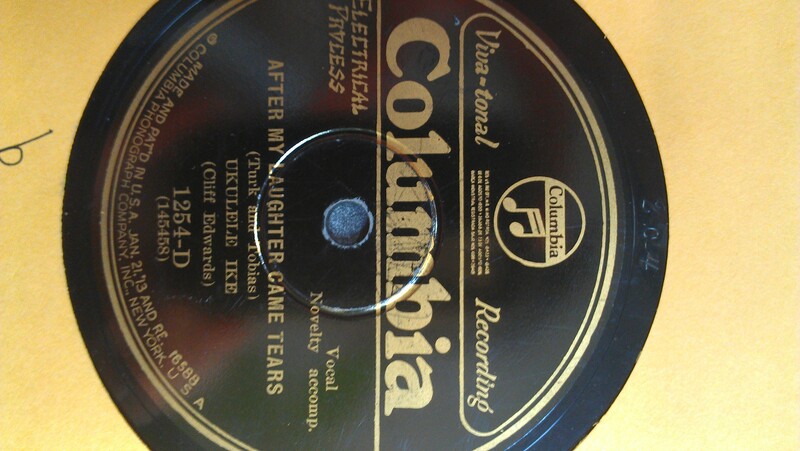 Also, this a vinyl 78, which came about in the later years of the 78rpm era. Virtually all 78s, until about the early 1950s, were made of a combination material consisting of pitch and shellac ; shellac being the secretion of the female lac bug, which live in the forests of Thailand and India. During the WWII effort, shellac was recalled and collected by the government to be used for military materials, and vinyl became the standard. Vinyl, in fact, sounds fuller and is much quieter than shellac. Plus, you could fit many more grooves (micro grooves actually) on to the side of a vinyl than a shellac ; hence, the birth of long playing 33 and 45 rpm records. This is also a rare, DJ only copy that RCA would send out to radio stations for promotional purposes. The melody will get stuck in your head.